Panasonic is set to release a fresh firmware update for its popular GH4, mirrorless camera in December. The update will address a number of issues for using the GH4 with external recorders. 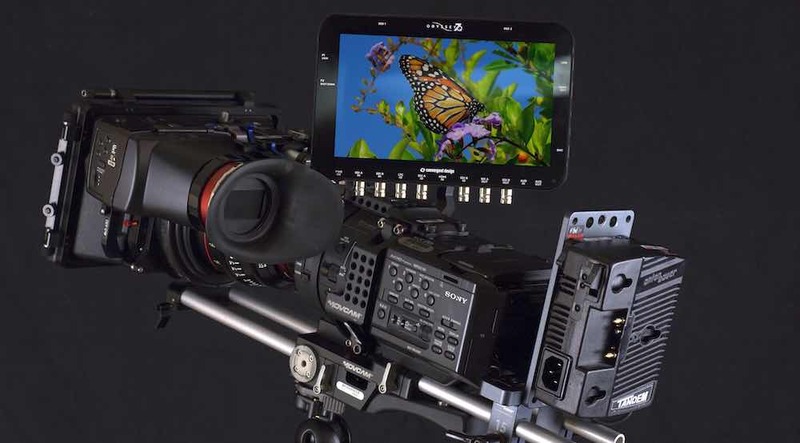 The new firmware will add recording stop/start triggers to the camera’s HDMI output, which will work with Atomos’ recorders, including the Ninja, Samurai, and the soon to be released Shogun. The recording start/stop works with both the GH4’s video output, and the outputs on the YAGH expansion box. The firmware update will also add embedded timecode over HDMI, so that external recordings are timecode-stamped. The GH4 has an internal timecode clock, and a timecode input via a BNC connection on the YAGH, but has no conventional timecode output connections, for synch to a second GH4, a sound recorder, or other device. 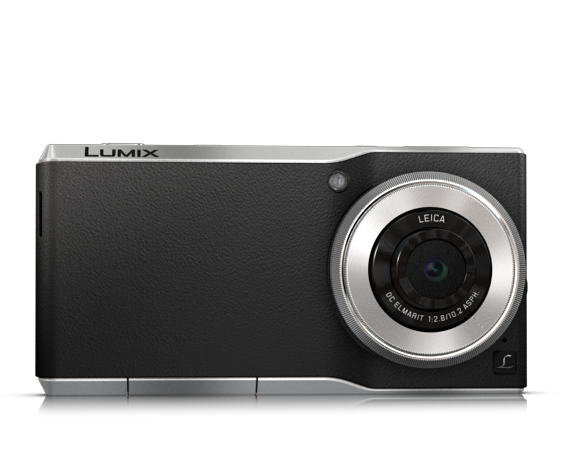 Panasonic is also addressing issues with the supported framerates over the camera’s HDMI and the YAGH’s SDI outputs, when recording in HD. Previously, the GH4’s HDMI output defaulted to 50fps, a format that is incompatible with most external recorders and equipment such as vision mixers and video streaming capture cards – unless the signal is first sent through a format converter (in our test of live streaming using the GH4, we connected the camera via a Decimator converter). Alternatively, it is possible to record video from the GH4 in HD at 24fps, which will work directly with external recorders. But, for broadcast in PAL areas, the route for capturing a 25fps-compliant signal is more complex. To record 25p 10 but, the GH4 first has to be set to AVCHD recording, resulting in an interlaced, 50i, signal which then needs to be converted in post. Alternatively, it is possible to output an 8-bit 25p signal, and record AVCHD internally. The new firmware upgrade should resolve the issue, by providing a native 25p and 30p output via HDMI, with the camera set to FHD mode. For streaming applications, this brings the added bonus of a higher-quality internal iso-channel recording than the more highly compressed AVCHD option. Panasonic will also add a 25psf and 30psf mode to the SDI video output on the YAGH adapter (a 25p or 30p stream over a 50i or 60i signal), for improved compatibility with other cameras, such as those from Sony, which output a psf video stream. 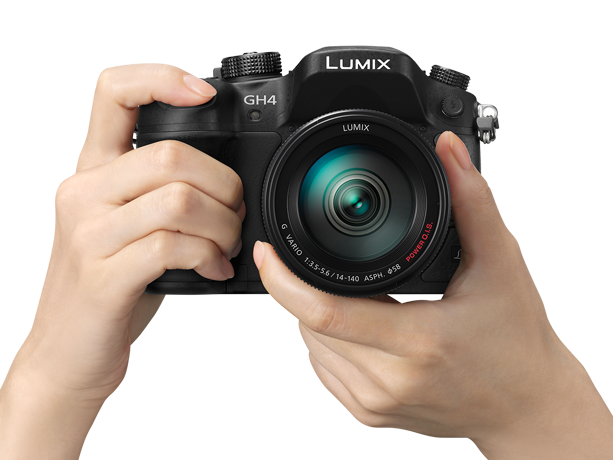 Panasonic also demonstrated a GH4 running a further firmware update, which will bring a Log mode to the camera. 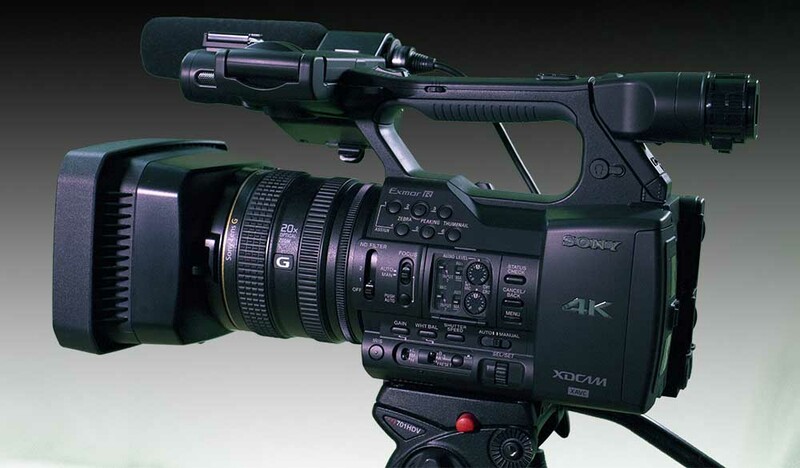 As Newsshooter.com reports, the V-Log mode is not yet ready for release, but when it is, it will make it easier for film makers using the GH4 alongside other cameras.